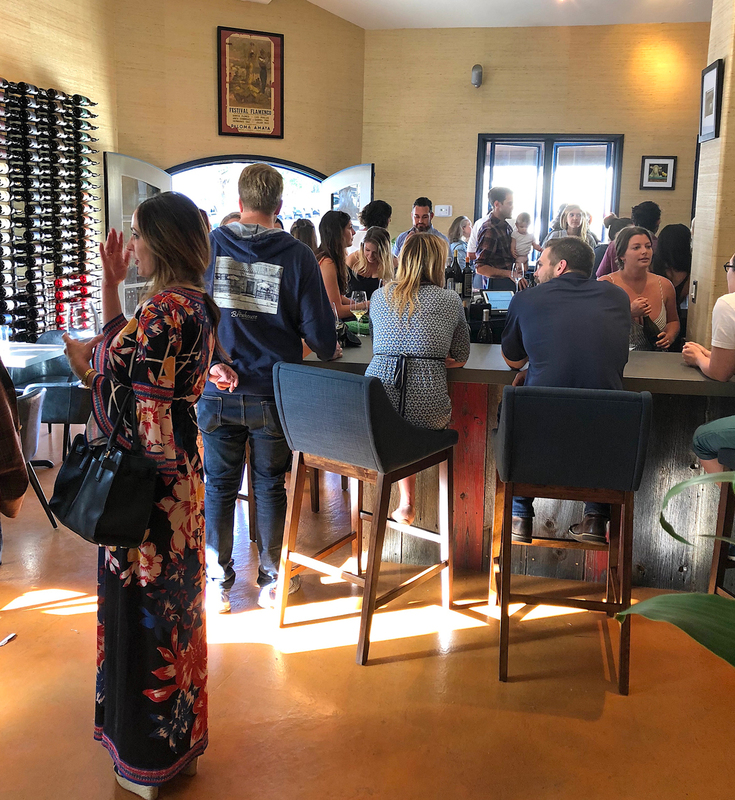 The team behind one of Santa Barbara County’s hottest restaurants opened a second wine bar/eatery Friday on East Ortega Street in downtown Santa Barbara. Will Henry and Kali Kopley, co-owners of Pico at the Los Alamos General Store with Chef Drew Terp, have joined forces with the owners of neighboring The Black Sheep eatery to open The Wine Shepherd at 30 E. Ortega St. It's a wine shop and second tasting room for Henry’s wine label, Lumen, which he co-owns with Lane Tanner, a pioneer in the county wine industry. Playfully named for its next-door neighbor, and keeping with the theme of Pico, the Wine Shepherd will offer a selection of local, domestic and international wines for sale by the bottle as well as wines by the glass, craft beer and cider, and flights from Lumen Wines. Its owners also plan to host both regular and special events at the business. Henry and Kopley bring their experience in the wine, food and hospitality industries to the ownership and management of Pico in Los Alamos, a hit with both locals and tourists alike for its food, wine and ambience. Henry’s father, Warner Henry, founded The Henry Wine Group, a wine import, wholesale and brokerage firm. After graduating from college, the younger Henry worked for Leeuwin Estate in Margaret River, Australia, before returning to work in the family business for many years. Henry then took a break from the world of wine, and for about 15 years worked as a professional photographer and journalist. He also founded and led Save the Waves Coalition. Henry returned to the wine industry with the 2012 vintage, teaming up with industry veteran Tanner to launch Santa Maria Valley-based Lumen Wines. The duo produce chardonnay, pinot noir, Grenache, a rosé and grenache blanc, he said. On his own, Henry also crafts wine in a 12-ounce can under the label Nuclear Wine Company. When I wrote about Pico’s opening back in July 2016, I noted how Kopley is no stranger to the wine bar slash restaurant industry, having opened five different businesses in the greater Lake Tahoe region. In 2007, she opened Uncorked, a wine bar in Squaw Valley. In the next five years, Kopley opened two more restaurants and two more wine bars: Soupa, in Squaw Valley, and Petra, in Northstar, and two additional Uncorked wine bars, in Tahoe City and Truckee. As a restaurateur, Kopley was a customer of The Henry Wine Group, which led to her introduction to Will Henry. “The Wine Shepherd marks the seventh wine-related business in which I’ve recently had a hand in launching and is modeled after some of my Tahoe-area businesses,” Kopley said. The Wine Shepherd “will offer a large selection of wines from around the world, as well as a healthy representation of local heroes. As we do at Pico, we will focus on small production, family-owned producers and obscure, hard-to-get wines, plus old vintage rarities and gems,” Henry said. He and Kopley chose The Wine Shepherd’s new home after forming a friendship with The Black Sheep’s family of owners, Chef Robert Perez and his son, Ruben. “We have always loved what the Perez family has done with The Black Sheep. Kali was also a patron and huge fan of their former Nevada City, Calif., restaurant, Citronée,” Henry noted. Hours at The Wine Shepherd will be from noon to 10 p.m. Tuesday through Sunday. — Laurie Jervis blogs about wine at www.centralcoastwinepress.com, tweets at @lauriejervis and can be reached via winecountrywriter@gmail.com. The opinions expressed are her own.